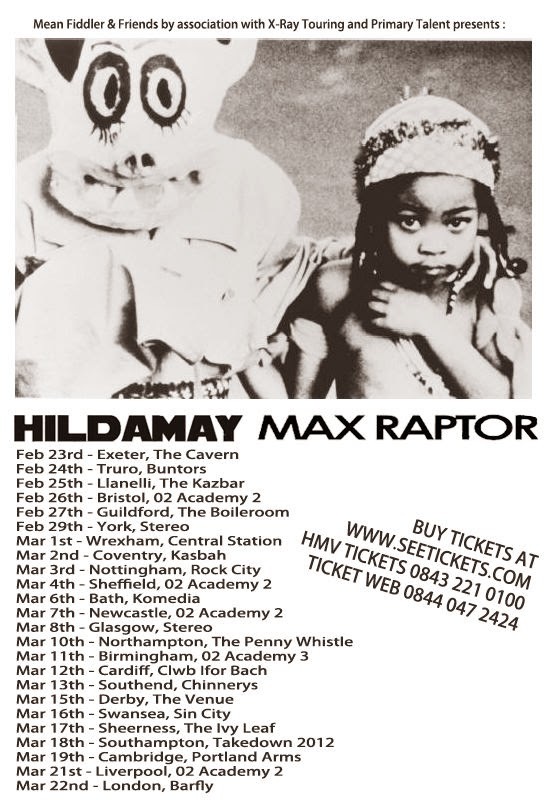 Well, A Wolf At Your Door records band Hildamay are due to embark on an immense 24 date UK tour, starting on the 23rd of February, with support coming from UK punk up and comers Max Raptor on all dates. Check the flyer below for dates and venues and make sure you get down. Make sure you check out both bands - Hildamay via Facebook at http://www.facebook.com/hildamay and Max Raptor on Facebook at http://www.facebook.com/maxraptor. Also, check out this recent video by Hildamay for the song Delicate, which is off their new EP We Loved, We lost, which you can pick up at the A Wolf At Your Door webstore at http://www.wolfatyourdoor.com/shop. Also, watch out for a review of EP and an Interview with Hildamay, here soon.